Steven Edwards of the Bordeaux Technology Group released Bordeaux 1.8 for FreeBSD today. Bordeaux 1.8 has had many changes on the back end, our build process has been totally rewritten, packaging has been totally rewritten. This release adds Microsoft Office 97, Adobe Photoshop 6 & 7 and Image Ready 3.0 and 7.0 support. Our winetricks script has been synced to the latest official release, Steam should now install and run once again, There has also been many small bug fixes and tweaks. This complete rewrite gives Bordeaux a much more clean and portable codebase, making new improvements much easier to provide. We already have some exciting things in the works for the next release. Bordeaux 1.8 has been tested against Wine 1.1.22, 1.1.23 and 1.1.24 thus far. The cost of Bordeaux 1.8 is $20.00. Anyone who has purchased Bordeaux in the past six months is entitled to a free upgrade. Bordeaux comes with six months of upgrades and support and of course a 30-day money back guarantee. The Bordeaux Technology Group is a software services and development company specializing in Windows compatibility software. Users of Linux, BSD, Solaris and Mac systems from time to time find themselves in the need to run specialized Windows software. The Bordeaux suite enables access to these programs and data in a seamless and low cost manner without requiring licensing of Microsoft Technology. The Bordeaux Group also provides migration services and support for alternative operating systems specializing in Windows compatibility. There is a multitude of software developed only for the Windows operating system and even when software vendors port their applications to another platform, generally it lacks features that the Windows version contains. The only solution these developers face is to have access to both systems for testing which leads to increased infrastructure demands, and wasted project resources. 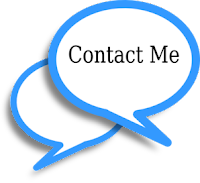 If you are vendor interested in supporting your application on Linux, BSD, Solaris or Mac OS X or a software user that needs to run a Windows application on Linux, BSD, Solaris or Mac OS X we can help. We use PayPal as our preferred payment provider, with PayPal you do not need an account to make a transaction simply select to pay via credit card, its very simple and fast. All purchases include 6 months of email support and the product is backed by a 30 day refund. Follow the instructions on the page and when you order is complete be sure to click "Return to Merchant"
Steven Edwards of the Bordeaux Technology Group released Bordeaux 1.8 today. Bordeaux 1.8 has had many changes on the back end. The build process has been totally rewritten, packaging has been totally rewritten, the .sh installer is terminal based now and the dependency for pygtk and pango has been removed, the .sh installer will now run on any supported platform Linux, BSD, Solaris and Mac. Our winetricks script has been synced to the latest official release, Steam should now install and run, There has also been many small bug fixes and tweaks. Bordeaux 1.8 was tested against Wine 1.1.23 and for best results, we suggest Wine 1.1.23 be used. We have i386 and x86_64 deb's, rpm's and sh installers that have been tested on a wide variety of Linux distributions. 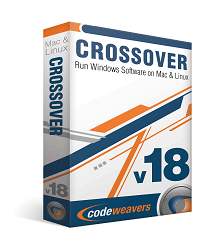 SAINT PAUL, Minn. (June 16, 2009) – CodeWeavers, Inc., a leading developer of software products that transform Mac OS X and Linux into Windows-compatible operating systems, today announced the release of CrossOver Mac 8.0 and CrossOver Linux 8.0, both available for purchase immediately. Both versions of CrossOver 8.0 will include support for Internet Explorer 7, Quicken 2009 and performance upgrades for Microsoft Office 2007, particularly Outlook. "Delivering Mac and Linux users support for Internet Explorer 7 and Quicken 2009 is a major development for CodeWeavers. ", said Jeremy White, CodeWeavers chief executive officer. "Along with adding support for these applications, CrossOver 8.0 contains significant performance upgrades for Microsoft Office 2007, most notably Outlook. For instance, you can now install Service Pack 1, and users that have very large offline data files will see noticeable speed increases." Another major benefit of CrossOver 8.0 is that recent Wine Project developments have resulted in support for a myriad of new applications. "Wine is one of those technologies that improves in little ways all the time. ", said White. "Since we released our 7.0 version last year, a lot of those incremental improvements have helped many more unsupported applications just "magically" start working. We get comments from users all the time on software we've never heard of that 'Hey, this application runs great now!' More users will see that phenomena happening in 8.0 because Wine has improved so much in the past year or so." CrossOver Mac Standard is priced at $39.95, and is a download-only product. CrossOver Mac Pro is priced at $69.95, and can be delivered with an optional CD. CrossOver Linux Standard and Pro mirrors that pricing. The Professional version comes with 12 months of support and upgrades (as opposed to 6 months for Standard), and also includes a complimentary copy of CrossOver Games, CodeWeavers Windows games compatibility product. All CrossOver products are significantly less expensive than the cost of a Windows license, allowing CodeWeavers users to economically and legally eliminate the need for Windows. The updated versions of CrossOver for Mac and Linux are available online at www.codeweavers.com and in many retail outlets in North America, via distribution through Navarre, Atlantia and others. Founded in 1996 as a general software consultancy, CodeWeavers today focuses on the development of Wine: the core technology found in all of its CrossOver products. The company's goal is to bring expanded market opportunities for Windows software developers by making it easier, faster and more painless to port Windows software to Mac OS X and Linux. CodeWeavers is recognized as a leader in open-source Windows porting technology, and maintains development offices in Minnesota, the UK and elsewhere around the world. The company is privately held. For more information about CodeWeavers, log on to www.codeweavers.com. Service Packs 1 and 2 now apply. Several other Office service packs and add-ons should work better. FrameMaker: Handling of PPD files improved on systems without CUPS. A 'symbol' font has been added. This should improve Equation Editor behavior. Fixed a problem with demo registration and gksu version 2.0.2. Updated many components to fix behavior on the upcoming Snow Leopard release of OSX. Bordeaux 1.8 is now running on current Mac OS X Leopard systems. We have been working hard over the past month to get Bordeaux running on Mac OS X and all that hard work is starting to pay off. We now have everything compiling and running but like always more testing needs to be done before it's ready for final release. The installer, Bordeaux programs, built-in Wine programs, bordeaux-winetricks, and a couple small test applications have been tested. The good news is everything that's been tested works very well and everything thus far tested has been stable. Starting with the Mac OS X release of Bordeaux we are going to start bundling our own version of Wine. While this is allot more work, it will allow us to include some much sought after features that have been missing from vanilla Wine builds. For example the (always in the work's) DIB engine will be one of these new features. And with bundling Wine we can also Bundle in some other needed tools such as cabextract and unzip to make the use of Bordeaux and Wine as user friendly as possible. When we ship the final stable build the cost will be $25.00 per licence. At this time we will process pre sales for Bordeaux 1.8 for Mac and when the final build ships you will still receive your full six months of upgrades and support. You will have access to all beta builds. You can join our beta testing group and give feedback. Users who give useful beta reports will get a extra six months of free upgrades. Final Release 08/01/09 We pull a Mac here, come hell or high water, we ship! The final build will have support for Internet Explorer 7 and possibly other applications depending on what pre-order customers tell us. There are a number of bugs in Winehq that we really want to fix. Currently stock Wine does NOT support building App bundles that can be easily used from the Finder. We plan to implement this in Wine and give all the changes back under the LGPL. In the end all of our Mac work is going to go back in to stock Winehq, but the more support we get through purchases, the less trouble it is to do, and the more we can do. Bordeaux for Mac OS X will be added to the store for pre-sales in the next day or so, if you want to be included in the beta group send a e-mail to bordeaux slaes with your order number and we will add you to the group. The expansive Windows game catalogue is often cited as a primary reason not to switch loyalties to another operating system, especially when new gaming APIs such as DirectX 10 come along and complicate matters further. However, Unix and Windows intermediary CodeWeavers claims that it will soon have enabled DirectX 10 support on Unix-based operating systems, including Mac OS X and Linux. CrossOver games 7.0 had a very long list of supported Windows games, that included Command & Conquer: Red Alert 3, Civilization IV and World of Warcraft. However, very few of the games were described as fully working, with most of the titles getting an “Honorable Mention” badge, meaning that they were known to install and run, but weren’t fully tested and supported by CodeWeavers. That said, many of Valve’s titles on Steam, including Team Fortress 2 and Half-Life 2, had been given a “Silver” badge, which means the game may have issues at the moment, but that CodeWeavers is committed to bringing it up to the “Gold” level in future releases of CrossOver Games. As well as CrossOver Games, CodeWeavers also works on getting other major Windows applications to work on Unix based operating systems, including Microsoft Office, using a proprietary version of WINE. 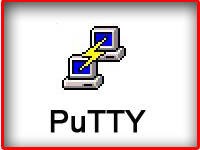 Rather than being an emulator, WINE (which helpfully stands for Wine is not an emulator) instead provides a compatibility layer that sits between Unix and the Windows app, enabling a Windows app to run by using substitute DLLs that are called by Windows programs, as well as processes that act like the Windows NT kernel. CrossOver Games currently costs £25.99, and a free trial version is also available. Would you move over to Mac OS or Linux if you could run Windows games on it, or is it Windows all the way for you? Let us know your thoughts in the forums. 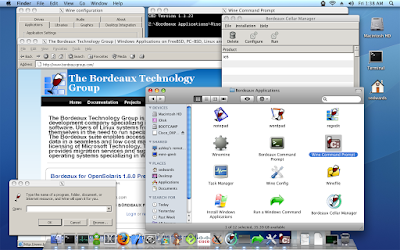 Bordeaux for OpenSolaris 1.8.0 was released with support for Microsoft Office 97, 2000, 2003, Visio 2003, Project 2003, Internet Explorer 6, Adobe Photoshop 6 and Adobe Photoshop 7. There has also been many small bug fixes and tweaks on the backend to improve the speed and reliablity of all the supported applications. 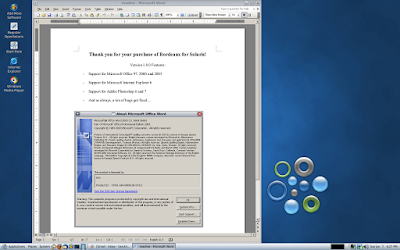 "Microsoft Word 2003 on OpenSolaris via Bordeaux"